Radio DJ and author, Tosha Michelle will ask me questions on how I wrote Jo-Kin Battles the It co-jointly with my recovery memoir Me and Her: A Memoir of Madness. 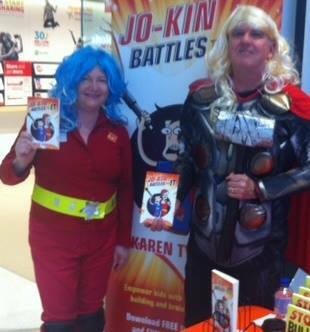 I used humour in writing Jo-Kin Battles the It as I struggled with mental health issues triggered by severe bullying and harassment from the parents of my school student. Jo-Kin Battles the It became a fun-like refuge as I was simultaneously wrote a gut-wrenching memoir, Me and Her: A Memoir of Madness. 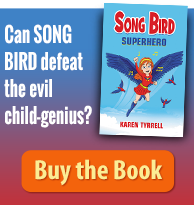 Karen Tyrrell is an Australian award winning resilience and mental health author. She’s a survivor of bullying and mental illness. She recently won a major mental health achievement award for her books and public speaking. 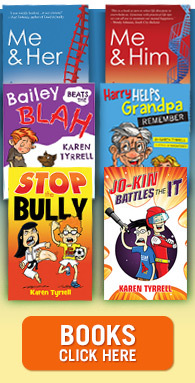 Karen teaches kids and grown-ups to live strong through her resilience books. What are Karen’s award winning Resilience Books ? How can a bullied teacher claw her way back to sanity and reclaim her life? HER: manic psychic, telepathic to the dead and very psychotic. A bullied teacher recovers from bipolar disorder and PTSD using coping skills. What secrets did her husband Steve keep hidden for 6 years? #30 steps to recovery, wellness and resilience to keep you happy, healthy and well balanced. Endorsed by the Black Dog Institute. How can Brain STOP the Bully Without revealing his secret. 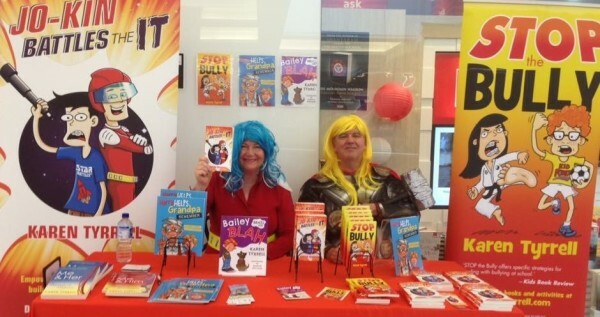 Empower your kids with bully prevention skills in a humorous fast paced story. Endorsed by Kids Helpline. How can Bailey Beats the BLAH? How can Harry help grandpa remember? Memory skills and coping skills for memory loss and dementia with humour and compassion. Winner of RADF grant. 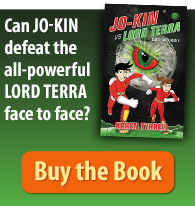 How can Jo-kin save Captain Astra and the galaxy from the It? What sets Jo-Kin Battles the It apart? Kids need heroes and need to learn how to become a hero in their own lives. WHO will listen to my Radio Interview? Did you write the time in your diary and click going? Please Share, like, tweet and Google plus. Awesome to hear that Chis loved Jo-Kin Battles the It.